We have added more photos to the Sports album. 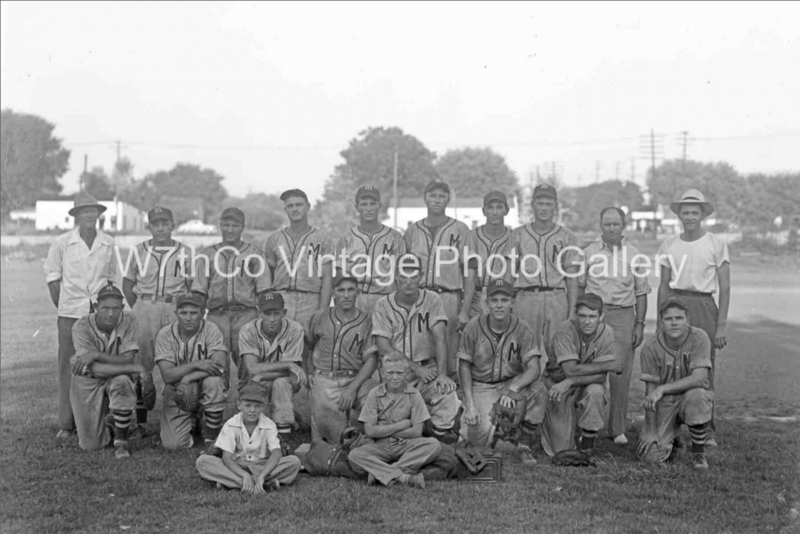 Most fittingly, we have added photos (like this Monsanto baseball team image) that feature some Spring sports. There are basketball and a whole range of sporting photos too. As always we are looking for your help in identifying people in the photos or more information as well. Come by and see us or email us if you know something. You can see the full collection by clicking here. We’ll be kicking off Spring 2019 with a new show on Thursday March 28.